There weren't any squirrels in the town where I grew up. Squirrels can be boldly urbane, in their own chattery twitchy way. Squirrels occur en masse in every town and city I have since inhabited. Despite this, or perhaps as a result, I haven't thought or written much about squirrels. That pleasant oblivion ended abruptly last summer. In 2014, my typical gardening frenzy was necessarily pared down to a few pots of tomatoes, peppers, and herbs on a borrowed balcony. When the squirrels abundant in the adjacent park honed in on my precious few tomatoes, they caught my rapt (and indignant) attention. As if theft and trespass weren't enough, these squirrels merely nibbled holes in the tomatoes and then left them to desiccate on that third-floor balcony. My efforts to protect the remaining glowing golden cherry tomatoes devolved in stomping, shouting, and arm flapping. As the tomatoes ripen once again, I'm now keeping a wary eye on squirrels that dash and cackle on my garden fence - in a new town. In the syndicated column, I delved into a bit of taxonomy, modern squirrel hunting, and more. The following illustration accompanies the column, which is available to direct subscribers (new!) and publications running Drawn to the West as a syndicated column. Depending on where you live in the Mountain West, up to five tree squirrel species and as many as nine ground squirrel species may occur in your area. Marmots, too, are taxonomically included in the squirrel family (Sciuridae), as are chipmunks; some regions boast five chipmunk species and two marmot species. It appears red squirrels are not just of interest to science. 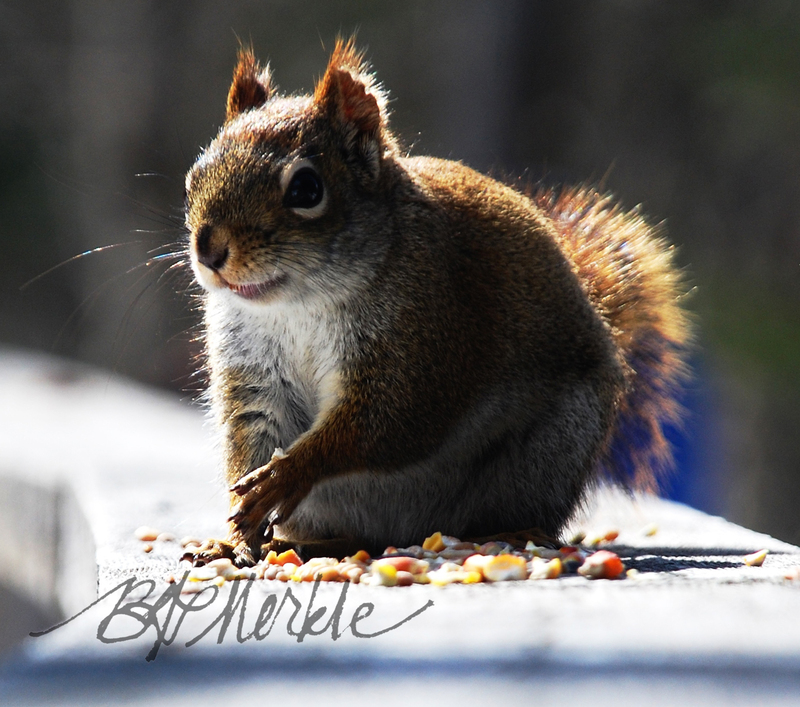 According to the Smithsonian National Museum of Natural History, red squirrels enjoy a host of somewhat amusing common names: Pine Squirrel, Chickaree, Barking Squirrel, Mountain Boomer, and Boomer. While eating squirrels might sound a bit squirrely, [writer Mike] Sula isn’t the only one doing it, and the idea is scientifically sound. Based on information from "North American Tre Squirrels" and comments from Steve Sullivan of the Chicago Academy of Sciences, it appears nearly 80% of young squirrels don’t live past their first year of life. And yet, like their cousins the rats, certain squirrel species are so good at reproducing that there is little-to-no concern that eating them would be detrimental to their populations. If you'd like to read the column, subscribe directly (new!) or let your local newspaper or magazine editor know you want to see an illustrated version of the West in their publication!